What Are some Use Cases of Blockchain? Do you want to learn more about the use cases of blockchain? Here is your guide to the different use cases of blockchain for your convenience. 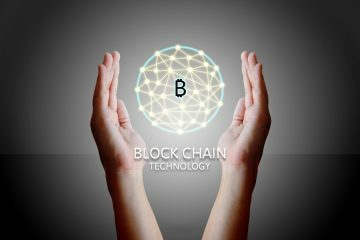 Business leaders are only beginning to grasp the potential of blockchain. Across industries, most don’t understand its use cases. Now, the use cases of blockchain are revealing the potential for widespread adoption. Blockchain began with a single application–cryptocurrencies. It proved its value in this new and unregulated field. It became its foundational solution, displaying value beyond its original purpose. In most industries, software and database solutions adhere to their existing standards. Their designs increase efficiencies within existing models. Blockchain’s creators built the solution in a digital space without standards. That means blockchain is format agnostic. It manages data conversely to existing databases. It decentralizes information as a distributed database alternative. The best way to understand blockchain is to highlight its strengths. As an alternative to databases, we will review its advantages. This will add context to the use cases of blockchain. Blockchain is industry-agnostic. So are databases. From SMBs to enterprises, every company has some type of database model. The largest database vendors provide costly, powerful solutions to enterprises. These systems need constant updating. They need regulatory, security, and maintenance oversight as well. Programmers designed databases with an intuitive approach–companies should centralize sensitive data. Access should be tightly regulated. Only a select few should have direct visibility into its infrastructure. Let’s consider this approach in practice. Large retailers store hundreds of thousands of customers’ records in databases. These records contain sensitive data, such as credit card information. By consolidating data into a single database, they create a single vulnerability. Malware, viruses, and internal errors can have a cascading effect. Companies have failed to protect millions of customers’ records because of vulnerabilities. They spend millions of dollars trying to protect them in the first place. Retailers, banks, and health insurance companies alike lose customer data. This puts both customers and businesses at risk. All industries are wanting for safety and efficiency in their database models. 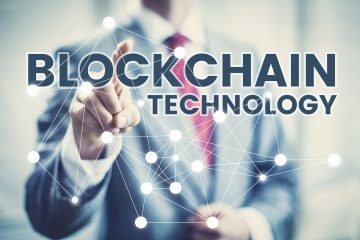 There are now use cases of blockchain in several industries. 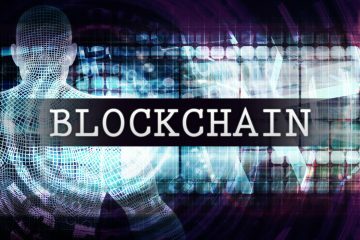 Like databases, blockchain allows business users to leverage mission-critical data. In principle, the end result is the same. But blockchain functions differently. It both distributes data across a network and prevents its replication. Thousands of nodes reconcile the data, preventing singular vulnerabilities. Blockchain is more efficient. Fewer gatekeepers mean quicker access to data. Companies needn’t buy costly security features and updates either. So, how are companies using blockchain today? Some industries have seen early successes. Many hypothesize its applications in others. Let’s take a look at blockchain in practice. We’ll highlight five potential scenarios across five different industries. You’ll see how IT and business value will share a new evolutionary step. Internal processes are a burden for telecom services. Customers demand instant response to their activities and needs. These include microtransactions, identity protection, and billing visibility. The “smart contract” is a blockchain feature growing in its appeal. These contracts carry out actions upon the users’ signature. This enables communications service providers (CSPs) to improve efficiencies in service operations. This is helpful in CSPs’ role to identify management service providers. Companies can take on roles as financial service providers as well. Identity management promises new markets and revenue streams for these companies. This contributes to their role as digital services enablers (DSEs). Blockchain could become a foundation for a complex network of companies and users. CSPs could create collaborative ecosystems for advertisers, vendors, and users alike. Healthcare is unique in its role as a service provider. It requires complete transfers of patient data across organizations. Unlike telecom, mishandling this “customer data” can put lives at risk. Organizations centralize patient data, and not in the same formats. They experience risks when transitioning data to other healthcare providers as well. And industry standardization requires costly investments not all groups can afford. Blockchain may be the universal solution to solve interoperability between systems. It would reconcile patient data, preventing security issues during “transfers.” These would not need to duplicate information, preventing the industries’ duplicate records problem. Financial organizations are enormous targets for hackers. They need complex systems to support transactions. Blockchain may add protection and support growth there as well. FinTechs are already using blockchain electronic ledgers for international exchanges. Blockchain ensures ledgers do not change once transactions complete. It expedites the process as well. The advantage is no loss of fidelity between two parties. A controlled set of users can share each ledger. There must be a consensus before they can update it. This sets it apart from database models. Databases can have discrepancies between organizations. These can go unnoticed with targeted illegal activity. Blockchain supports safer, more open transactional records. It removes ambiguity and adds trust between parties as well. Consumers place retailers under very heavy scrutiny. Retailers manage consumers’ money through transactions and loyalty programs. They must hold up guarantees on delivery times as well. As with FinTechs, blockchain’s electronic ledgers remove ambiguity between consumers and retailers. These ledgers can multiply to service all customers. Retailers can protect the integrity of their supply chain as well. They have massive shipping and third-party qualification requirements. Blockchain supports nodes at each touchpoint and reconciles data across the ecosystem. The education industry has been slow in technology adoption and investment. Blockchain could change that. Universities struggle with accreditation fraud. Blockchain would be a valuable tool for confirming educators’ claims. Blockchain could support ledgers with students’ data as well. Teachers with transitioning students would know exactly where they stand. Those records could help students start vocational and higher learning as well. It’s easy to qualify the possibilities of blockchain. It may be years before widespread adoption. But businesses that start now are sure to have the advantage. Ionixx revolutionizes industries with blockchain solutions. Partnering with us is your gateway to exciting new ways to leverage your data. Learn more about the use cases of blockchain and see if it’s right for you. Let’s get started on your next great success. Contact us to learn more about our implementations and services.